Dominique Dunne, who played the older sister in Poltergeist, was murdered by her ex-boyfriend. 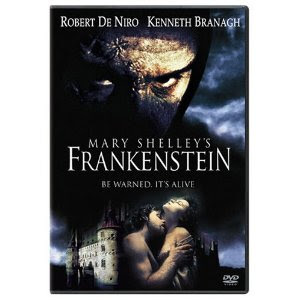 I was disappointed by Kenneth Branagh's Frankenstein. Noisy, boring, and drones on and on. Sort of like the director. But hey, it stars DeNiro as The Creature. Before Brendan Fraser got chunky, he turned in a beautiful performance in Gods and Monsters with the legendary Ian McKellen.